Need more information about booking Property 8657929 ? 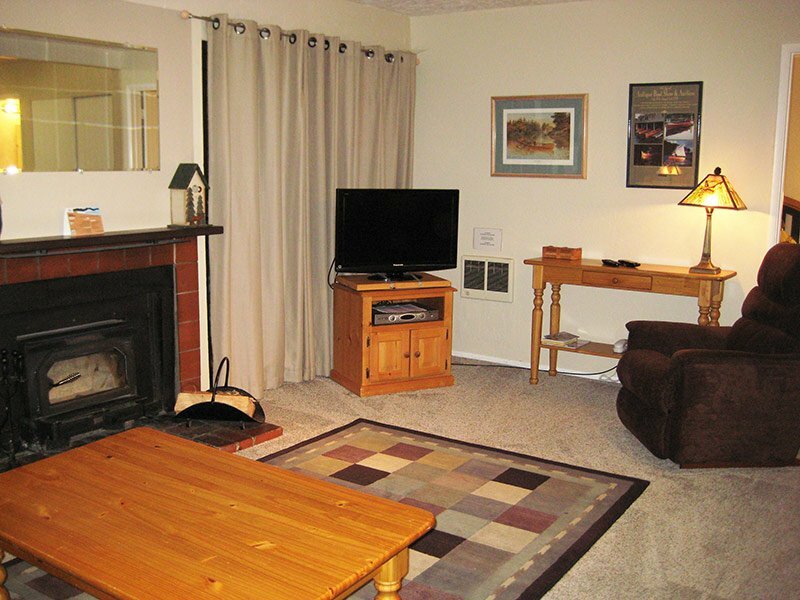 This is a very nice and updated one bedroom vacation rental with 1.25 bathrooms, a 3 star rating and a private ski locker at Canyon Lodge! It has a full kitchen, microwave, fireview woodburner, a 32-inch flat screen TV in the living room with a DVD/Blu-ray player and a 27-inch flat screen TV in the bedroom with a DVD player, a wall-mounted hairdryer and free high-speed, wireless internet access. The living room has a queen fold-out couch and the bedroom has a memory foam California King size bed with a heated mattress pad. There are 31 stairs to reach this rental and it is all one level inside. This unit has a nice forest view from the private balcony off the living room and sleeps up to 4 people. Walking to the Village Gondola from this unit is considered 2 blocks. Unit managed under Mammoth Lakes Business Tax Certificate 864.